Last week I had the privilege to attend the main osgeo conference: the FOSS4G. This time it took place on Seoul, Korea. Exotic place I strongly recommend to visit, but better to focus on non-cultural surprises on this post. It’s impossible to write everything on a single blog post, as it was impossible to assist to all the interesting parallel threads that run on those short five days. But let me guide you through my steps so I can share part of my experience until we get access to the full videos of that awesome week. Let me summarize it: if you want to work with sensors, take a very close look at IstSOS. Combining PostGIS, Python, GDAL and Apache you get not only a complete sensor service, but a complete sensor data management system. Easy to use, easy to install, easy to everything! Quality Assurance is integrated on IstSOS to make sure the sensor doesn’t go mad. This process are sometimes done asynchronously to conflate your own sensor data with other sources. It doesn’t just return a basic boolean, but a statistic value of confidence based on previous data. Another interesting feature is the virtual sensors, which allows you to create your “own” “sensors” based on data from real physical sensors. Useful to conflate data and offer it on a unique endpoint as sensor. 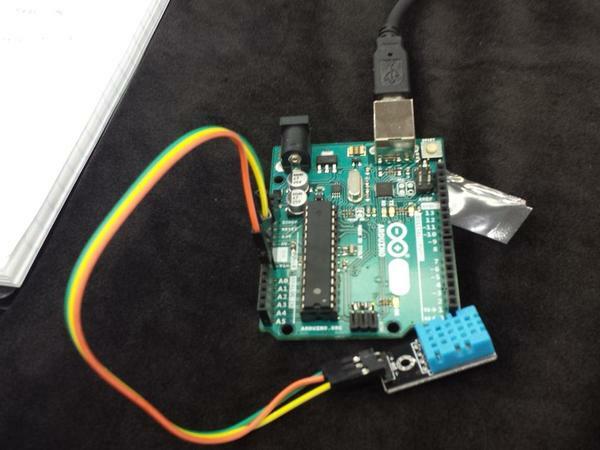 As if this workshop wasn’t good enough, we got some real arduino and sensors to play with them. Besides some Windows issues (surprise! ), I think that the workshop was very successful. Assistants not only built their own user interface style for GeoNetwork, but asked us about advanced features and how to implement them. As Florent said: “We are the experts of GeoNetwork, so if you have any questions, it is now or never.” And we had questions asked. 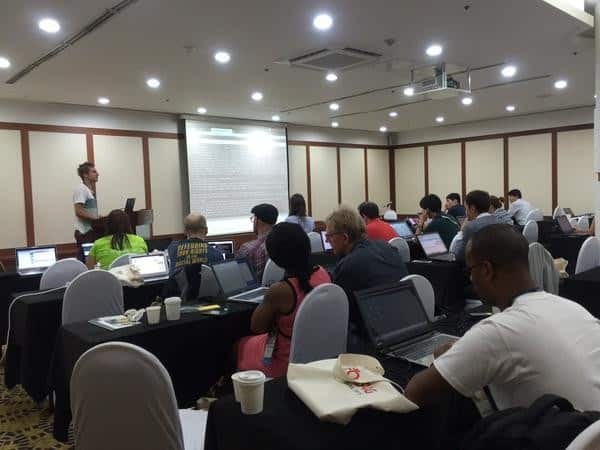 If you already run a GeoServer, most of this workshop is already known to you. But if you don’t… bad you missed it! There were a lot of fancy features to play with, like regexp on parameters for sql layers (surprised that very few knew what regexp meant!). And, of course, WPS already useful in production now. You can even use WPS inside SLD definitions! 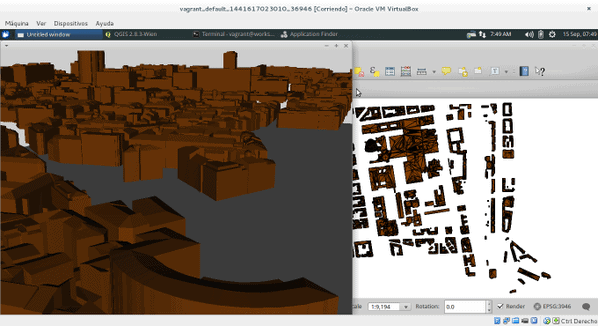 Yes, you are right, 3D GIS has too much hype right now. But Oslandia did a great job on this workshop. If you don’t have experience with 3D, I strongly advise you to try to follow the workshop, posted on github. I was already on the first slot of the conference, during the Opening Ceremony, when I first noticed that we talked too much about open instead of free. Besides that, Venkatesh made very clear that we need more Geo4All, specially on developing countries. Very interesting the national SDI of Korea presentation about the workflow of open source. While I don’t fully agree with their vision, it is always refreshing to see new perspectives on this subject. Maybe we should make more clear that free software can have a professional customer support as good as any closed source software. Probably even better in most cases, as there are more companies that can offer it. Now the conference divided on so many threads at the same time that it was impossible to follow them all. QGIS (new useful plugins to develop) and MapServer (now faster than ever) before lunch and the sensor and crowdsourcing session after lunch. There, between the ISA server for indoor spatial data, Apache Spark, Ontologies and CartoDB, we presented Cobweb. The day couldn’t finish without a very productive and promising BOFH session about crowdsourcing… and more! 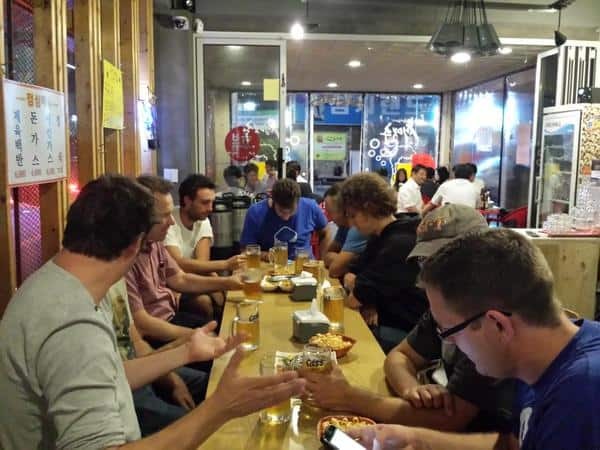 Thursday was a hard day: jet lag started to go away, but taking #geobeers every night does not help much. Alysa Wright started with a cool presentation about why and how did she start on the spatial world. We should never forget that, as a community, we come from very different places and perspectives. And still, we share a common view about freedom. On the last session of the day, I learned about OpenDroneMap. I couldn’t stop asking myself why didn’t I knew about this incredible project before. Where drone software is even more awesome than the drone hardware. Finally, Paul Ramsey talked about sustainability of free and open software and why we should care about who maintains it. Last day of conference is here. Friday tastes bitterweet. And not because of the food! María Brovelli starts with a keynote about crowdsourcing and VGI and how they can change our community. Because even if we don’t deal directly with the data, the software is also affected by all this. The next keynote was from Marco Hugentobler, talking about the qGis community from a developer’s perspective. Because, yes, “developers are human and not everyone is aware of that”. What a surprise! In any case, never trust someone with the “expert” label, just trust the community. After the coffee break, I attended a very instructive presentation from Henrik Lund Pedersen about caching fresh data. Is it possible to have a cached and updated server for GIS data? Jody Garnett talked about documentation and why we should be very careful when writing it: not only to help advanced developers but also to not scare newbies. Never use the word “easy”, for example. If you use it and the reader don’t find it easy, he will go away to look for something easier for him. And maybe the original documentation was easy, it’s just that it hasn’t been updated with new features. Then we had another Cobweb session on the main grand ballroom, this time by Panos, talking about the mobile part of the framework. And FOSS4G was finishing fast! But not before our president Jeff gave his vision about OsGeo and where we should focus on. Build community is the key. And shaking hands with people wearing suits. On top of all the final party, GeoCat gave the first Most Innovative Developer Award. 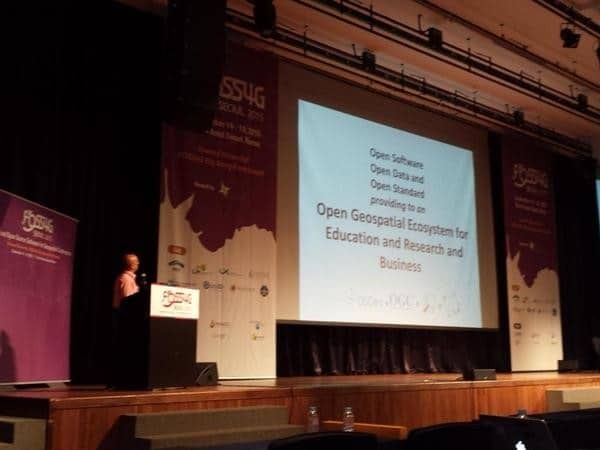 We hope to repeat it year after year encouraging developers in osgeo software. Before finishing this post, I want to say a very big thank you to all the sponsors. Without them, this is not possible. See you next year in Bonn! Estas últimas Jornadas SIG Libre de Girona han girado en torno a servicios cloud y datos abiertos. Desde el apoteósico inicio con las ponencias plenarias, con parte destacada de Sergi Morales (ExportosenTI), el resto de las charlas han ido rodando todas en el mismo tema. Algunas quizás un poco más críticas, como F. Puga desde CartoLab cuando nos pidió que no olvidáramos que no todo el mundo tiene acceso global a internet, y que muchos millones de personas, las cuales no tienen nuestro nivel tecnológico, también tienen necesidades GIS. Otra gran cuestión que se ha levantado en estas jornadas ha sido, de la mano de Malcolm Bain, cuales son los límites legales de los servicios de almacenamiento de datos en la nube, qué podemos esperar y exigir y hasta qué punto, desde la perspectiva del proveedor de servicios, tenemos que ofrecer un mínimo de nivel de servicio. Resulta sin duda sorprendente aprender que algunos de los contratos que aceptamos en servicios muy conocidos (como correo electrónico web o hosting) son, sencillamente, ilegales. La batalla del software libre ya está ganada, ahora queda la batalla de la libertad y privacidad de los datos. También ha resultado una delicia ver el enfrentamiento dialéctico entre varios de los ponentes, como cuando Javier de la Torre (Cartodb) arremetió contra OGC o las IDE. Sin duda un tema que, aunque no coincido completamente con su opinión, es algo a debatir y mejorar. ¿Deberían intentar los IDE hacerse más amigables para acercarse al usuario o es suficiente con ser un repositorio de datos? El jueves por la tarde, Geocat tuvo sesión doble entre varias charlas muy centradas en los metadatos y su importancia en los IDE. Primero presentamos rápidamente quiénes éramos y qué hacíamos, centrándonos sobre todo en GeoNetwork y Bridge, mencionando también nuestro futuro GeoCat Live. Y justo antes de terminar el día, un taller de 30 minutos para presentar GeoNetwork, justo antes de dar paso a la primera reunión de geoinquietos nacionales. Es difícil resumir en un sólo artículo toda la tremenda dimensión alcanzada en estas jornadas. Mucho optimismo, muchas ganas de seguir trabajando y, sobre todo, la certeza de que estamos en el camino correcto, apoyando el software y los datos libres, centrándonos en la parte social de nuestro trabajo. El viernes, casi para finalizar, Javier Sánchez orientó la recta final de las jornadas hacia este tema, hablando de las empresas sociales, las cuales no sólo tienen una cuenta de resultados económica sino también social. En resumen, las Jornadas SIG Libre Girona son sin duda el Evento SIG(en mayúsculas) que cualquier hispano hablante debería tener en cuenta si quiere estar al día de las últimas novedades.The main theme of this Jornadas SIG Libre de Girona has been cloud services and open data. Since the apotheosic beginning, with an outstanding speech of Sergi Morales (ExportosenTI), the rest of the conference has been running around the same theme. Some of them maybe more critical, like the one of F. Puga from CartoLab when he asked us not to forget undevelopment zones where not everyone has internet access and millions of people, which doesn’t have our tech level, also have GIS needs. Anotheer interesting theme of this conference came by the hand of Malcolm Bain, who told us about the legal limits of data cloud services, and what can we expect and demand and to what extent, from the cloud service provider, we have to offer a minimum service level. It is undoubtely surprising to learn that some of the contracts we accept on very well known services (like web mail or hosting) are, in fact, ilegal. On thursday evening, Geocat had a double session between speeches very focused on metadata and the importance of governmment spatial portals. We first focused mostly on GeoNetwork and Bridge, talking also about our future GeoCat Live. 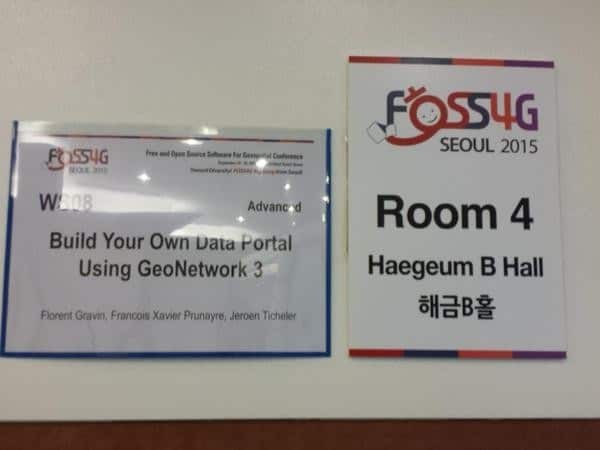 and, just before ending the day, a workshop of 30 minutes to present GeoNetwork, which has followed by the first national meeting of geoinquietos. It is hard to summarize in only one article all the huge dimension reached on this conference. A lot of optimism, willing to keep working and, most of all, the certainty that we are on the right path, helping free software and free data, focusing on the social part of our work. On Friday, almost to finish, Javier Sánchez oriened the end of the conference to this theme, talking about social companies, who have not only an economic result but also a social one. In the end the Jornadas SIG Libre Girona are undoubtely the GIS Event (capital letters) to which every spanish speaker should take into account to be in contact with latest GIS news. Llevo un tiempo queriendo escribir sobre la importancia de los datos libres, pero es ahora con la publicidad que le están dando a Google Map Maker cuando realmente entiendo la urgencia del tema. ¿Os imagináis un país cuyos datos geográficos sean tan pobres que ni siquiera se sepa oficialmente qué ciudades y pueblos contiene? ¿Cómo podría invertir en carreteras, alfabetización o siquiera en agua potable cuando no sabe que hay gente que vive allí? ¿Cómo podría cobrar impuestos o… ¡¡contar los votos en las elecciones!!? ¿Os imaginais que un batallón de soldados se equivoca por utilizar mapas erróneos y acaba estableciendo una base en el país de al lado? Una absurdez a lo Gila que ocurrió hace poco en la frontera entre Nicaragua y Costa Rica, lo que por poco no provoca un conflicto internacional. I’ve been thinking for a while about writing about the importance of opendata, but is with the advertising given to Google Map Maker when I really understood the urgency of the matter. Can you imagine a country with so poor geographic data that even the government doesn’t known which cities and towns do they have? How could they invest on roads, literacy, drinking water or even know that there are people who live there? How could they collect taxes or… count votes in elections!? Can you imagine that a battalion of soldiers use maps that are wrong and establish a base in the nearest country? An absurdity that happened recently on the border between Nicaragua and Costa Rica , which almost causes an international conflict.